It goes without saying that as the holidays draw nearer, our social calendars fill up faster than any other season. To help you “save the date” for those truly special events that come but once a year, we’ve compiled our own list of can’t miss holiday festivities. 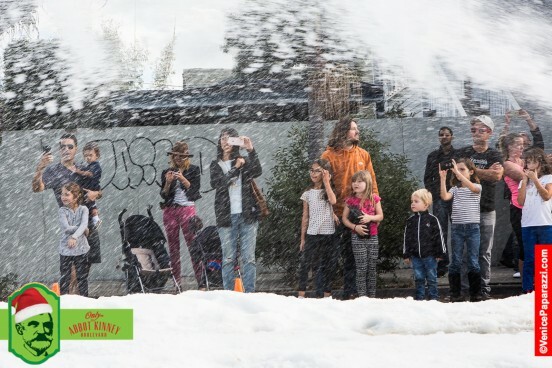 Perhaps you’ll revisit one of your favorite neighborhood celebrations or make plans to experience something completely new, like a snow day Venice beach-style. Whichever the case may be, the following ten events—from inside a concert hall to along L.A.’s most storied boulevards—are sure to light up your holiday season. Just blocks from the beach, the corner of Arizona Avenue and Fifth Street transforms into a Winter Wonderland thanks to an 8,000-square-foot ice skating rink. Marina Del Rey will be celebrating their 55th annual parade this year, a spectacle of lights dancing across the water that you won’t want to miss. To celebrate the release of her new Christmas album, “You Make It Feel Like Christmas”, Gwen Stefani will treat fans to a live performance under the Christmas tree at The Grove. Listen carefully for her duet with boyfriend Blake Shelton. What’s more wild than exploring a zoo after dark? Embark on this magical tour of the L.A. Zoo that includes giant illuminated snowflakes, a disco ball forest, glittering light tunnels, and a kaleidoscope savannah. 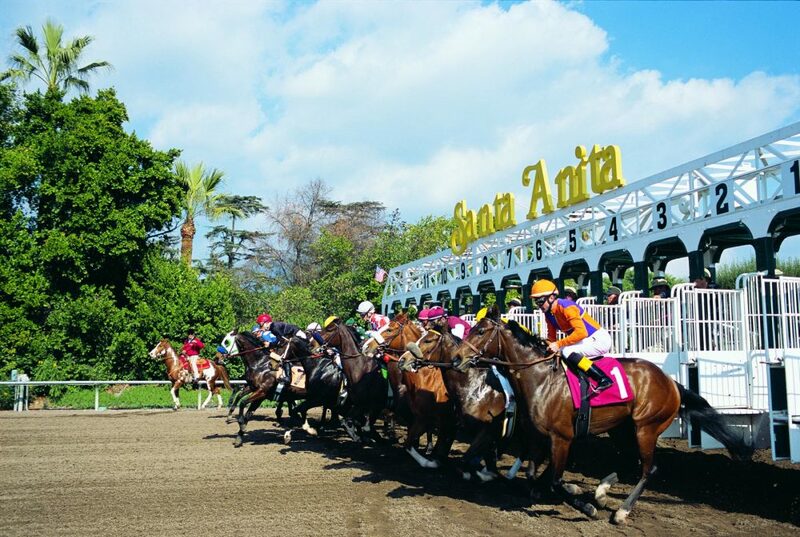 Dress-up in your best winter racing attire for Opening Day at Santa Anita Park, a seventy-five plus year-old tradition that includes a craft beer and cider festival. On one special night each December, the streets (and strand) of Manhattan Beach fill up with the best kind of holiday cheer: music, libations, shopping, Santa’s reindeer, and a finale fireworks show above the pier. Pasadena’s Descanso Gardens transforms into an enchanted forest with whimsical lighting displays and exhibitions. New this year is “Aqueous” by Jen Lewis, an interactive landscape of meandering pathways of light. Head to the Walt Disney Concert Hall for their holiday-themed music program, which concludes with a sing-along screening of the beloved 1954 film classic White Christmas. Businesses along this storied and ultra-hip boulevard welcome revelers all day with special treats and in-store events. Not to mention, sledding on real snow for the kids and yes, Santa himself. Stevie Wonder’s annual charity event to benefit children, people with disabilities, and families in need during the holidays moves to the Staples Center this year. Performing works from his iconic “Talking Books” and “Innervisions”, Stevie will also be joined on stage by special guest artists.